Enter your contact information and an agent will get right back to you. life is ahead of you. Medicare options. View our online videos. to learn about your retirement options. the benefits of Final Expense insurance. about costs not covered by Medicare. is ill or if you are doing advanced planning for yourself. with discounts on health and retail products. 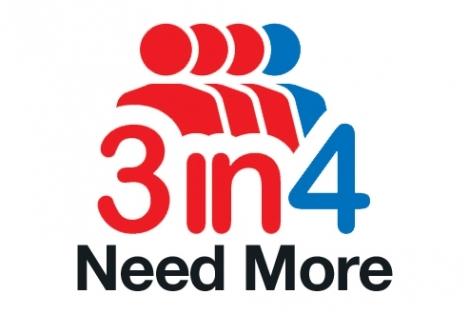 The 3in4 Need More Campaign is dedicated to raising awareness of the importance of planning for ones long term care needs. Because 77% of Americans age 30 to 65 think they should know more, the 3in4 Campaign is dedicated to providing information necessary to help you plan for your own long term care. Our mission is to increase national awareness among all citizens, not only seniors, about the need for a long-term care plan. To plan, citizens need to learn about the various products, services and insurance options that are available. By filling out the information request form, a sales agent may contact you by phone or email to discuss Medicare Advantage, Medicare Supplement, Prescription Drug, Final Expense, Life Insurance, or Long Term Care. MySeniorventure.com was designed by fellow seniors to help others navigate through life's new ventures. MySeniorventure.com is loaded with exclusive features and tools that will help to simplify life, maximize security, and save money. Our Medicare videos will keep you up-to-date with the latest Medicare information. Don't lose out on the Social Security money you deserve. Complete senior housing search tool and Caregiving learning center. Receive exclusive discounts on vision, hearing, prescriptions and lifestyle items. During the past three decades, Marion Somers, Ph.D., (Doctor Marion) has provided care for more than 2,000 elderly clients while she owned and operated a thriving Geriatric Care Management practice. It is now Dr. Marion’s goal to help caregivers everywhere by providing valuable insights and information in her book and on this web site. Dr. Marion knows that caregivers feel scared, angry, guilty, frustrated, overworked, and under-appreciated, but she is here to hold their hand through these demanding times. She passes on her knowledge and practical advice in a way that all caregivers can understand. “There are many common issues that caregivers face when dealing with the elderly. The language or the culture may be different, the values or the color of skin may be different, but many issues are universal, and it’s my goal to make a positive impact,” says Dr. Marion. Copyright © 2017 Trusted Benefit Solutions. All right reserved.